Giving you the ultimate control of water and extraction in your hands when you make coffee. Engineered to make the best cup every time, it’s built to work best with the slower, traditional method of making pour-over with a slow, continuous stream of water. Perfect for a pour-over party of two. 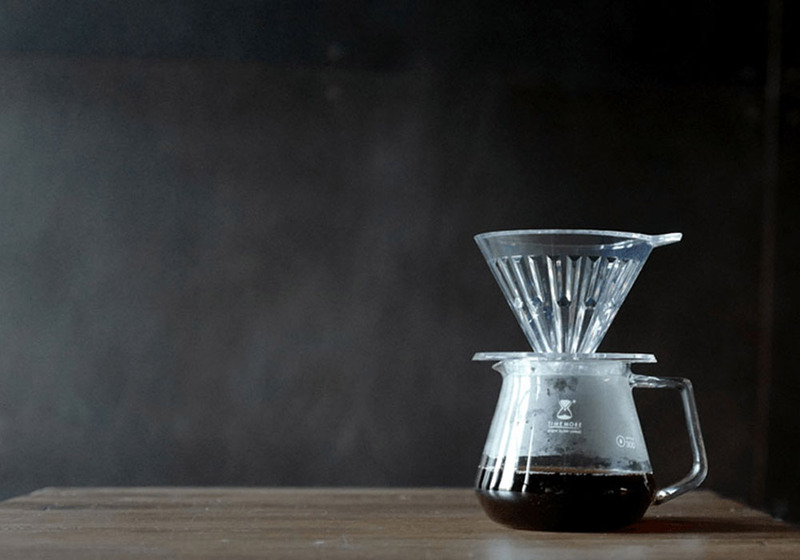 Consistently brew the perfect cup with the Stagg [XF] Dripper. Use the ratio aid to ensure the right amount of coffee, every time. Pour and go with the Stagg [XF] “fill up” method. [XF]’s tall column gives you more room for the non-traditional “fill-up” method which combines the ease of immersion brewing and the great taste of the pour-over. Consistently and easily brew pour-over coffee every morning with a little less effort, but still a whole lot of flavor. › Vacuum insulated for ultimate heat retention during your brew. Stainless steel body, silicone gasket. › Steep slope to increase coffee-to-water contact and boost extraction. › No clog drainage hole and bumps. › Ratio aid measures out 1-2 servings so you always know the right amount of coffee to add. Ratio aid also acts as a drip cup for when you’re done brewing. If you want to brew multiple cups for friends or make a really big cup of coffee, then this is the perfect companion to Stagg Pour-Over Dripper. › Double wall glass allows for longer heat retention and no exterior condensation. › Hand blown borosilicate glass – the Arnold Schwarzenegger of glass. › Ratio Aid – Never guess how much water to add. The first dot means you’ve hit one serving, the second dot means you’ve hit two servings. The ratio aid dots correlate to Stagg Dripper’s ratio aid for the perfect coffee-to-water ratio. › Silicone lid included to keep your coffee hot longer. › Carafe comfortably holds 20 oz/.6 L at the double dots. › Pack of 30 filters. This thing is amazing. I usually alternate between this and my AeroPress. Things I really like: a very well made product; measurement markers to help you brew that perfect cup; extremely portable (I can easily throw it in my backpack and take on the road without fear of it breaking – unlike my Chemex); it fits on top of just about any coffee cup or thermos.